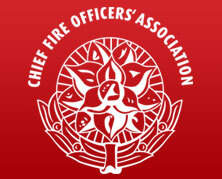 Ireland's environment, community and local government minister will open tomorrow's Irish CFOA Annual Conference as he joins join fire officers, academics and industry experts in discussing how to "Leading the Fire Service of the Future". Irish CFOA is holding its annual Conference and Fire Technology Exhibition in County Kildare and CFOA Chairperson Seamus Murphy said: "The aim of the conference and accompanying exhibition is to afford all involved in the fire and rescue area the opportunity to debate current issues and to see the latest developments in fire service appliances and equipment, and to explore the newest technology in fire service operations and fire prevention. "This year's conference will host expert speakers within the Emergency Services Sector and the Fire Technology/Industry from Ireland, UK, USA, Netherlands and Estonia who with their experience, knowledge and wisdom in different aspects of the Fire Service will attempt to provide innovative thoughts and ideas about how the Fire and Rescue Service can adapt to meet these challenges." The conference will be also be addressed by Sean Hogan (Director, National Directorate for Fire and Emergency Management) John Power (Director General, Engineers Ireland); Paul Fuller (President, CFOA UK); Sue Lampard (President, British Association of Public Safety Communication Officials); Barry Van ‘ Padje and Guido Leegemate (Netherlands); Connor Hanaway (Managing Director, SHRC Limited); Caroline Creamer (National University of Ireland, Maynooth); Tony O’Brien (Deputy Executive Director, European Emergency Number Association); Margo Klaos (Estonian Rescue Board); Carmel Kirby (Limerick County Council); and Professor Daniel Boatright (Senior Associate Dean, University of Oklahoma, USA). Celina Barrett, Conference Secretary and Kildare Chief Fire Officer, concluded: "Kildare Fire and Rescue Service is delighted to be able to host this year's event, which takes place at an interesting time for the Irish Fire Service." "The sector which has had to adapt and be competent to meet current and future challenges against a background of budget and service constraints, changing personnel demography, greater scrutiny and wider demands on the service it delivers to the community. Technology is rapidly advancing with information being readily available and expectations are more demanding for an instant solution."